Let me start with the bad news. Or maybe I should say the “Here’s Kathy, full of shame”-news. I was supposed to have my weekly IT-readalong post up today, but as it occurs.. I haven’t read beyond the first week mark? Today’s the second week mark. I am so behind, people! 400 pages behind! I’m going to try and catch up but we’ll see how it goes.. There are so many other books I feel like reading right now and ugh. Anyway! Since I’m still *unofficially* participating in Blogtober, I’m using today’s post to wrap up the whole reason I’m off schedule. The Charms: Extra Credit Readathon! I couldn’t say no to this one and I realize this has caused me to neglect IT. I just wanted to get all the books read, true Hermione-style, in order to get some April-advantages. As if you can blame me for that! But.. Did I succeed? Well, I think I did! Not in a Hermione-way, but it’s close. I didn’t tick off all five prompts, but I did manage to read four books and I’m super happy with that! Even more so since I barely read a page this weekend which means the bulk of my reading happened throughout the week – yay me! 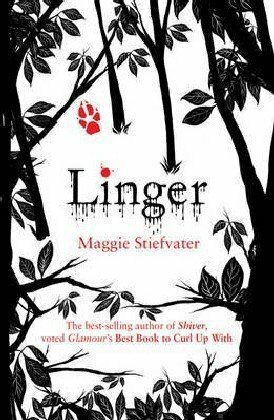 As you can see, I definitely succeeded at bingeing Maggie Stiefvater’s series! I actually like these books more than I did The Raven Cycle? Maybe due to werewolf-nostalgia.. I’ve yet to read Sinner, which is the fourth “installment”. I’ve started already, but am only fifteen pages in so that doesn’t really count, does it? Apart from those three.. 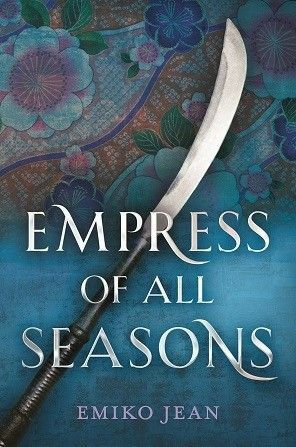 I also picked up Empress of All Seasons. Thanks to a review I read, I suddenly had the biggest urge to read it immediately, which – in my book – counts as “top of my TBR” and.. well.. I totally felt like that counted even though it was a spur of the moment thing, haha. Conclusion: I read an awful lot in a short amount of time and I get to start my Charms-O.W.L.’s four days early in April! Yay! I’m already looking forward to the next Extra Credit-readathon. Seriously, when is it and what subject is next?! Can anyone tell meeee? Did you join this readathon? How did you do? Are you planning on getting your O.W.L.’s in April? Next ›TTT: MOVIES that remind me of Halloween! I don’t know how you read IT! It’s one book I’ll never touch. 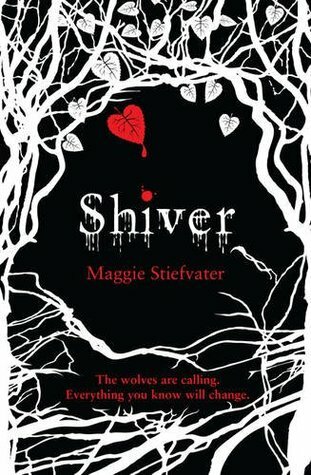 I have the Shiver series but haven’t read them yet! But I’m intrigued by what I’ve heard. They didn’t blow me away, but I did like them well enough to be happy I’ve read them! That book is so intimidating because of the size. Besides Pennywise, I don’t know how you can read it. I figured as much. I wouldn’t mind reading the author’s other series too. With a whole lot of stubbornness? Because I can be quite stubborn! Haha. The Raven Cycle wasn’t really my cup of tea but there are a lot of people raving about that one. 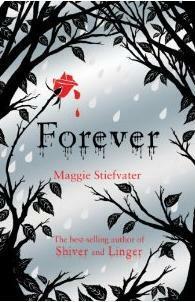 Stiefvater’s still.. a case of doubt on my part since I did like one, but didn’t overly like the author and.. I don’t know, hah. I’ve never read any of her work, but I’d like to at least see what the fuss is about. I actually read Shiver forever ago, but I never got the sequels and then I unhauled it… maybe I should give it another try one day? I do like werewolf stories. Aawh! So sorry you missed it! Yes, she’s going to do them on a yearly basis. Every year there’ll be O.W.L.’s and N.E.W.T.’s. O.W.L.’s will be in April; don’t know about the N.E.W.T.’s though. I think the prompts will be different but I’m not sure. She hasn’t really shared anything about it that I know of. I don’t really keep up with Instagram either, but pictures/”stories” are probably better for my attention span for videos, so I’ll check it out 😀 Thanks! I enjoyed doing the OWLs and NEWTs this year so I’d love to do it again next year. I was only able to read two books but two days is already good enough!